List of Maine schools offering degree programs in nursing, RN-to-BSN, RN-to-MSN, LPN, CNA, and more. If you like lobsters and forests that seem to go on forever, Maine is your kind of state. Maine is a popular summer destination for a relaxing beach atmosphere. Portland, Maine's largest city, is home to a quarter of the state's population and has a booming economy without the traffic jams that normally accompany a good economy. 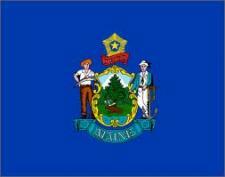 Nurses from other Compact states will find Maine welcoming of their out of state licenses. Ready for eating lobster any time you want?